I'm a busy mum of three and I come last. Rarely, if ever, do I put myself first and on the rare occasions that I do, I apologise for it!!! What the hell is with that? Have you ever listened to the safety announcement on a plane? 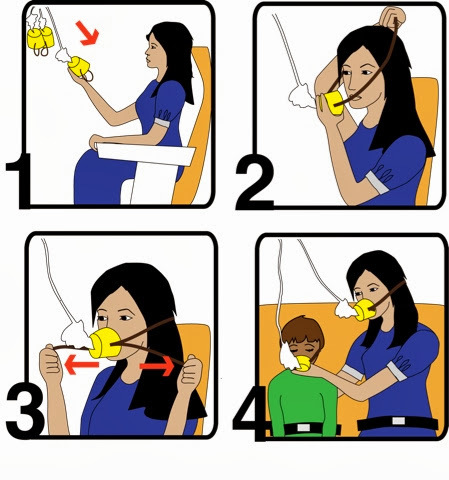 (Ha, stupid question) they will tell you that in a situation when the oxygen masks come down, you should put on your own before helping others, including your children. Wait, what? Put myself before others? This does not compute. But when you think about it, it makes total sense, it's not selfishness or my needs are greater. It's as simple as how can I help others when I am not operating to my full potential? Now apply this to all part of your lives. If you are tired, sleep. If you feel like your life is meaningless, make it count. Put yourself first and hopefully not only you will benefit, but others around you will too, as a by-product of you putting on your oxygen mask. This year I intend to take some deep breaths from my oxygen mask, it's not selfish, it is the right thing to do. Will you be taking some deep breaths? Oooh love this, it puts me in mind of that saying... happy parent, happy child. Would love it if you hop over to Mother.Wife.Me and link this post up to the #AllAboutYou Link & Pin Party, we've just launched it today and this post sums up with All About You is about perfectly!